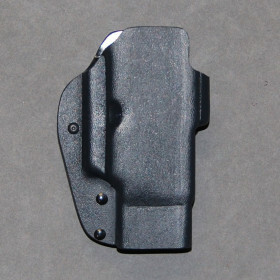 Enforcer Kydex Holster (L1) » Protective Solutions, Inc.
Top quality Kydex holster custom-made specifically for the PhaZZer Enforcer CEW. Available as Cross-draw or Straight-draw with friction fit technology. Specify Right or Left. Made in the USA.